How can we be sure the four Gospels weren’t just made up? We may be convinced that the New Testament documents are based on reliable sources – that we have what was originally written from an early date – but do we know that what they contain is reliable? How do we know they weren’t just made up? 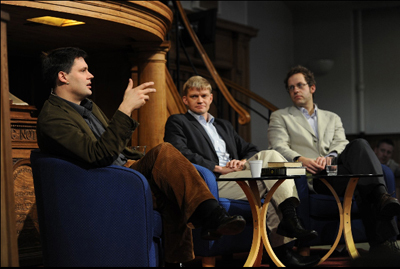 Dr Peter J Williams, Warden of Tyndale House, Cambridge University, attempts to answer the question of the reliability of the Gospel record by looking closely at both non-Christian sources and detailed material within the Gospels themselves. He draws on research which strongly suggests the implausibility of a claim that the four canonical gospels were clever fakes. Were these stories made up at a later time or written from a different place, or do they include such a wealth of incidental information that was available only to the ‘close-up’ gospel writers, and which points to their authenticity? Peter presents the material with wit and precision and we’re left with an extremely convincing case that the four gospels were indeed comprised of genuine eyewitness accounts. You’ll enjoy this! We’ve been enjoying Edward Gibbon’s references to the Christian church in the latter years of the Roman Empire. Gibbon emphasised three factors which assisted the growth of the Church and the influence of Christianity through the Roman world. Gibbon argues that the conversion of a person to the Christian faith produced not only an immediate moral impact in their lives but an ongoing one, so that they turned from their past sins, sought to support the social and economic structures of the society of which they were a part, became reliable workers, fair in business, honest in labour, modest in behaviour and faithful to spouse and family. This Christian lifestyle commended itself to those who were living close to them. Lastly, Gibbon mentions the unity and discipline of the local churches as a factor in the sustained growth and spread of the Christian faith. The believers were locally organised under spiritually qualified elders, who cared for them, teaching them and supporting them in their new found faith. There were miracles but there were relationships and pastoral oversight. Interestingly, Gibbon notes, ‘Independence and equality formed the basis of their internal constitution.’ (iii) Somewhat different from the view that a single ecclesiastical power-structure oversaw all the churches, the churches were led by their own elders who drew on the wisdom of their communities and those who were apostolically gifted. Indeed, as we will later see, the local church is a key in the spread of the Christian faith in a nation, and a sustainer of those powerful impulses in revival that have so impacted the world. But, before we get there, we must look at some questions around the relationship between church and state. Just imagine if you were a Christian living in those days, wouldn’t you have prayed for the conversion of those in authority – and even the conversion of the Emperor himself? Well, early in the fourth century, after so many years of persecution, something like that happened! The conversion to the Christian faith of Emperor Constantine brought a sudden and much longed-for release from persecution and an elevation and respect for the Christianity. This was indeed an answer to prayer – but was it all good? And, what was the nature of his conversion? Iraneaus and a beautiful picture of the early church: Missional and Miraculous! The prominence of the miraculous in the mission of the church of the first few centuries was not a source of embarrassment to earlier historians. And it shouldn’t be for us. Christians believe, to use Luther’s phrase, that God is God, and he does not change. That God should act today in a manner consistent with how we see him acting in the Bible should be a cause of celebration not surprise. Those who hold an evangelical view of Scripture desire and expect God to act consistently with biblical revelation. ‘So it is that in His name those who truly are His disciples, having received grace from Him, put it to effectual use for the benefit of their fellow-men, in proportion to the gift each one has received from Him. others, by the laying on of hands, heal the sick and restore them to health; and before now, as I said, dead men have actually been raised and have remained with us for many years. This is a stunning picture of the church serving the community in both prayer and in the power of the Holy Spirit. Such moments not only bring grace to an individual, but can be the doorway to freedom for whole communities. Next time, we’ll look at Gibbon’s further reflections on the church’s impact and see that it wasn’t only miracles, but also a different kind of morality that helped commend the Christian faith to the waiting world. He had a powerful evangelistic ministry and people from all walks of life had been converted as a result of his preaching. His pagan opponents called him ‘the destroyer of our gods’. In A.D. 156 a persecution broke out against the believers in the province of Asia. Civil authorities hunted down many Christians and Polycarp, by now an old man, was sent into hiding. After torturing a servant they learned his whereabouts and captured him. The intention was not to kill him but to create confusion and discouragement by forcing him to deny Christ and swear allegiance to Caesar. Bruce describes the arresting officer as seeking to save Polycarp from inevitable shame and torture by saying, ‘What harm is there in saying ‘Caesar is Lord’ and offering incense?’ But Polycarp couldn’t compromise. The proconsul was amazed and sent the crier to stand in the middle of the arena and announce three times: “Polycarp has confessed that he is a Christian”. To merely say the words, ‘Caesar is Lord!’ may have seemed a small thing to the man who arrested Polycarp, but any Christian would immediately recognise the impossibility of compromise. Even today, in various parts of the world, Christians are under pressure, sometimes being falsely accused, attacked, seeing their homes destroyed and even being killed. We continue to pray for those who are suffering, and seek to establish freedom of religion with those who are in influence, while trusting God for grace in the midst of persecution. The short-term result of Polycarp’s bravery in the face of the savagery of the authorities was actually a decline in persecution. F.F. Bruce tells us that ordinary non-Christians were repulsed by the cruelty shown to this dignified man in his senior years, and that the Emperor also issued an instruction to his eastern cities forbidding them to attack the Christians. Polycarp could have compromised. He could have muffled his voice. He could have saved himself, or sought a different way. But he didn’t. He finished strong. 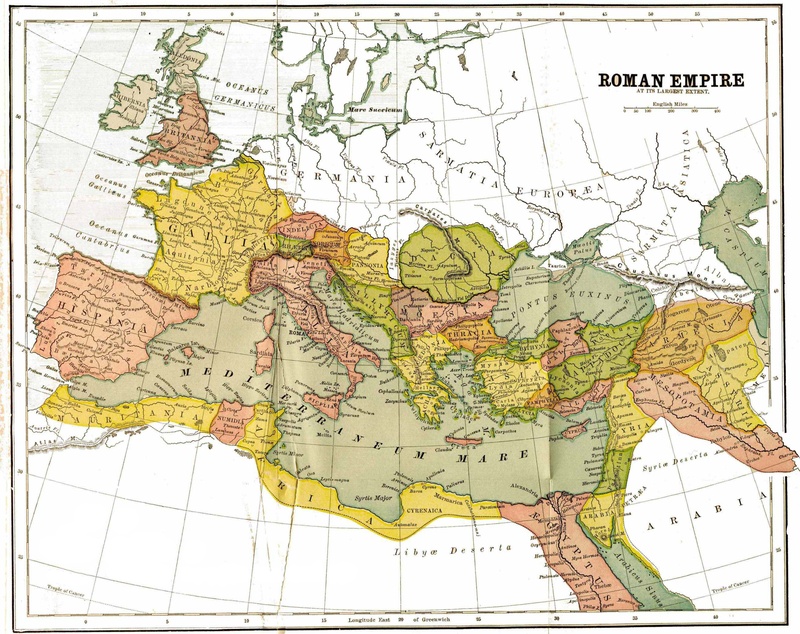 We are examining reasons that 18th century historian Edward Gibbon gives for the impressive and somewhat surprising spread of the Christian faith through the Roman Empire in its first 3 centuries. His first suggestion is quite simply the passion of the early generations of followers of Christ. They were zealous. They were unapologetically on a mission to bring the message of the forgiveness of sins and reconciliation to God through Jesus Christ to the ends of the earth. His second suggestion lies in the fact that these Christians believed that their salvation was absolutely secure. They did not fear that they would lose their forgiveness, or that they could somehow be ‘unsaved’ after coming to Christ. They were not striving to secure their salvation. Rather, they believed they were already eternally saved by the work that Jesus did for them on the cross. This belief in their security in Christ enabled them to persevere in the face of difficulties, displacement, hostility and numerous threats to their lives. Their security in God made them courageous. Just as the persecution in connection with Stephen (Acts 7) had the opposite effect of silencing the church, so later persecutions caused the church to multiply and grow. This seemingly unshakable faith enabled them not only to endure but even to triumph in the face of severe persecution. They refused public office and certain public duties such as the burning of incense to the gods, or the pouring of libations…The result was that they were regarded as a morose and intolerable people. Matters came to a crisis when, in 64 A.D., the emperor Nero accused the Christians of setting fire to the city of Rome. The public feeling against them was such that they were universally reviled. Even a writer of the eminence of Tacitus, who disliked Nero intensely, writes of Christianity as a ‘most mischievous superstition’. He accuses them of ‘abominations’, and declares that ‘they were put to death as enemies of mankind’. Nevertheless the good news continued to spread. What was intended to silence the followers of Jesus, seemed to have the opposite effect, and multitudes were won by their gracious example, by the miracles that accompanied them and by the message itself. Next time we’ll look at the example of the zeal and assurance one of the great Christian leaders of the 2nd century, Polycarp. Historian Edward Gibbon in his famous work The Decline and Fall of the Roman Empire, gives several reasons for the amazing triumph of Christianity in its first centuries. In this post we’ll look briefly at the first of these: The zeal of the early generations of Christians. The early church were definitely zealous – all were committed to preaching the gospel far and wide. Christ’s command to ‘Go into all the world and preach the gospel to all creation.’ (Mark 16:15) was never considered to be an optional task for particularly keen church members, but was the commission over the whole church. The Book of Acts is a testimony to the zeal of the first generation of believers. And the next generation were the same! ‘These earnest disciples of great men built on the foundations of the churches everywhere laid by the apostles, spreading the message still further…far and wide through the entire world. Very many of the disciples…first fulfilled the Saviour’s command by distributing their possessions among the needy; then, leaving their homes behind, they carried out the work of evangelists, ambitious to preach to those who had never yet heard the message of the faith and to give them the inspired gospels in writing. Next time we’ll see how the early believers’ assurance of their eternal security made them unstoppable in service and in risk taking in a dangerously hostile environment. A number of factors helped the somewhat surprising spread of the Christian Faith across the Roman world which began in the first century. Those healed in the gospel accounts, as well as others, continued to be witnesses of Christ’s power for many years. The spread of the gospel through the Empire was assisted by these various factors, but the central message was consistent, and centred on Jesus Christ, His compassion, His power and His Lordship. 2. The confidence they had in communicating their faith on account of the forgiveness of their sins. You can also read about the Roman Emperor Constantine and how his conversion both helped and hindered the health of the early church.